Multiwave GO is a microwave digestion system, optimized for economic routine analysis of environmental samples, food quality control, plant material and other biological material. A single magnetron delivers up to 850 W microwave power in an unpulsed mode over the full power range. The sophisticated software prevents thermal overshoots and the design of the microwave applicator provides utmost field density, allowing efficient and uniform heating across all vessel positions. Comes with: Mains cable with plug CEE Type 7 (Central European), 3 m exhaust hose, basic tools and instruction manual. Multiwave 7000, microwave digestion system with the novel pressurized digestion cavity (PDC) is equipped with a magnetron of 2000 W microwave power and provides digestion conditions of up to 300 °C and up to 199 bar. 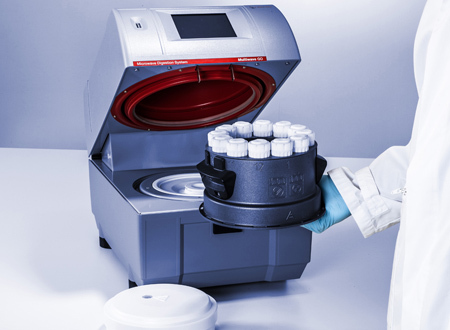 All kinds of samples such as food, environmental, polymer, cosmetic, pharmaceutical, geological, chemical, and petrochemical samples can be digested using Multiwave 7000 – even in the same run using the same method. 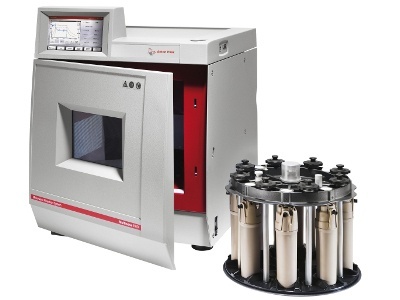 Multiwave 7000 can be used with high (≥ 3 g) and low sample amounts (≤ 0.1 g) as well as high (≥ 50 mL) and low sample volumes (≤ 100 µL). Pressure-sealed glass (disposable), quartz, or PTFE-TFM vials as well as sealed quartz vessels enable the use of all common digestion acids. 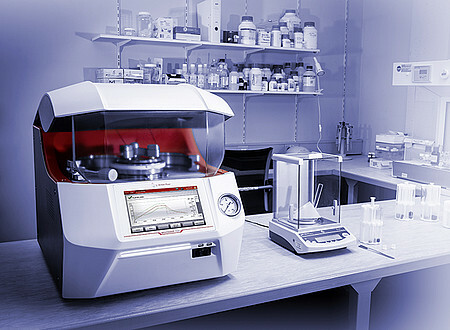 Complete reaction control is achieved via permanently controlling the pressure and temperature of all samples. Outstanding features save valuable time and reduce running costs, for example the budget-friendly vials with plug-on caps in different sizes and budget-friendly racks of up to 24 positions or automated opening, closing and cleaning procedures. Integrated water cooling minimizes the cooling times and maximizes the sample throughput.